Tired of tracing through FORTRAN spaghetti code? Tearing your hair out keeping track of arithmatic IF constructs? Well now here is a tool to ease some of your pain. 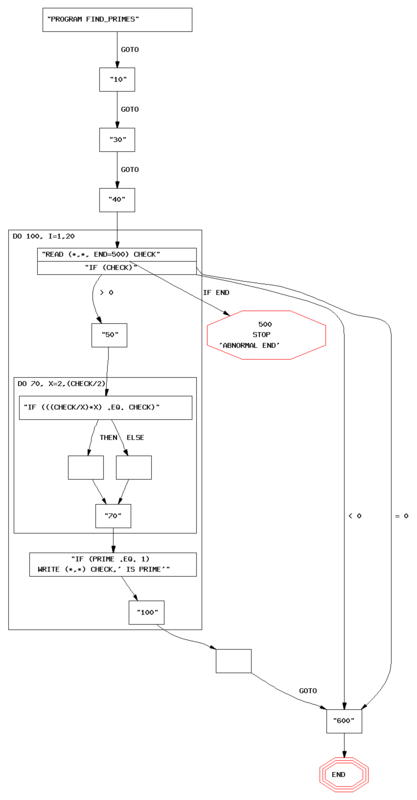 This program will create a flow-chart of (hopefully) any F77 FORTRAN program. You will also need to get the amazing AT&T GraphViz utilities.